The latest inventive snack formulations integrate value-added ingredients like cassava, heirloom grains and grass-fed, humanely raised meats. Legend has it that the potato chip was born in the summer of 1853. George Crum was working as a chef at the ritzy vacation spot Moon’s Lake House in Saratoga Springs, New York. When famously fussy diner Cornelius Vanderbilt, the wealthy railroad businessman, complained that his French fries were too thick, Crum sliced the potatoes as thin as possible and fried them into delicate crisps to teach his picky patron a lesson. Unexpectedly, Vanderbilt loved the newfound nosh. The potato chip became Moon’s Lake House’s signature dish. Crum eventually opened his own restaurant and potato chips were spread throughout the land. Warning: This story is likely riddled with falsehoods. No one actually knows for sure where the potato chip was invented. But the mere existence of the legend indicates that starting in the 20th century, chips became an important part of life. Folklore materializes around the things we value. And Americans love their snacks. Snacking is a massive category across all channels, growing 1.4 percent to $33 billion in January 2018 (a $470 million sales spike), according to SPINS. At $532 million as of Jan. 3, 2018, shelf-stable chips, pretzels and snacks occupied the lion’s share of snack sales in the natural and specialty channels, with puffed snacks in particular accelerating at 9.9 percent the 52 weeks ending Jan. 3, 2018. 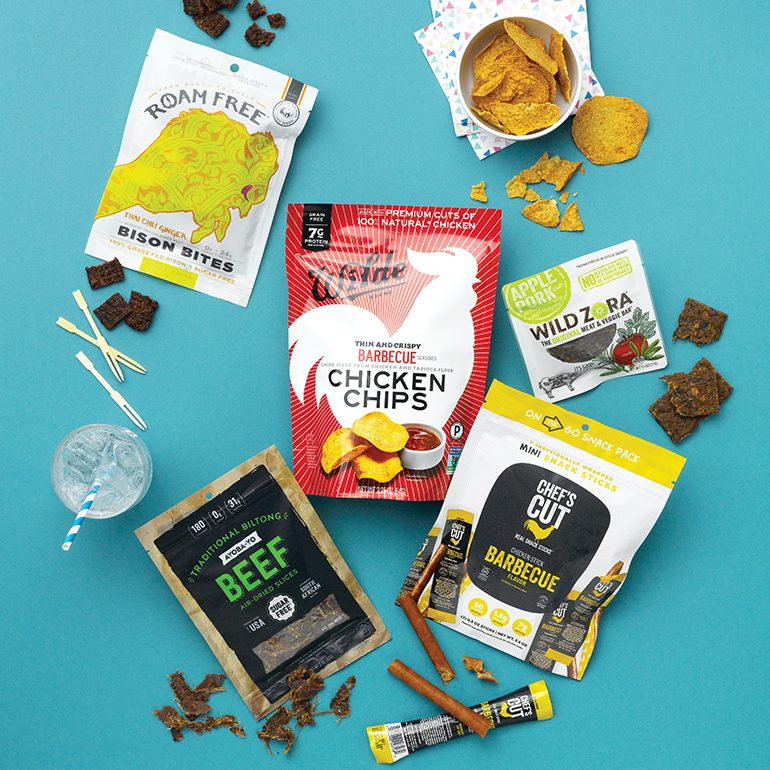 While jerky and meat snacks represent a smaller piece of the snacking pie, this subsection grew 11.3 percent in the same time period to $48 million in the natural and specialty food channels, making it a relatively small but extraordinarily fast-growing set. Millennials could be the demographic that embraces snacking the most. But don’t turn your snacking aisle hipster-ironic just yet. A recent Mintel study reported that a whopping 94 percent of Americans snack daily to mitigate cravings, reduce stress, satisfy hunger until the next meal and stay focused throughout the day. 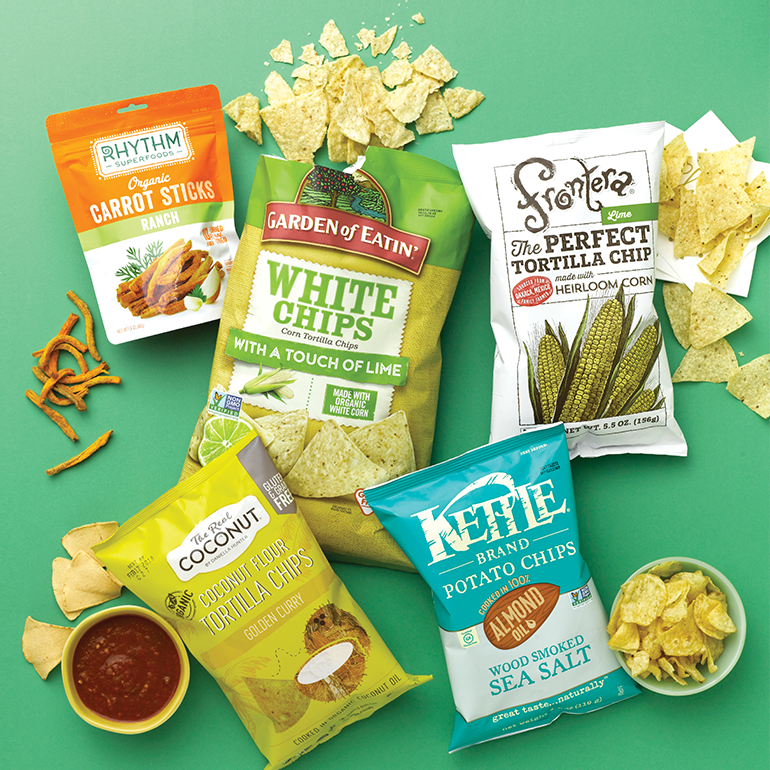 Cultural breakdown of the traditional meal across demographics leads smart natural food manufacturers to prioritize innovation, healthier formulations and individualized packaging solutions to better serve insatiable snackers. 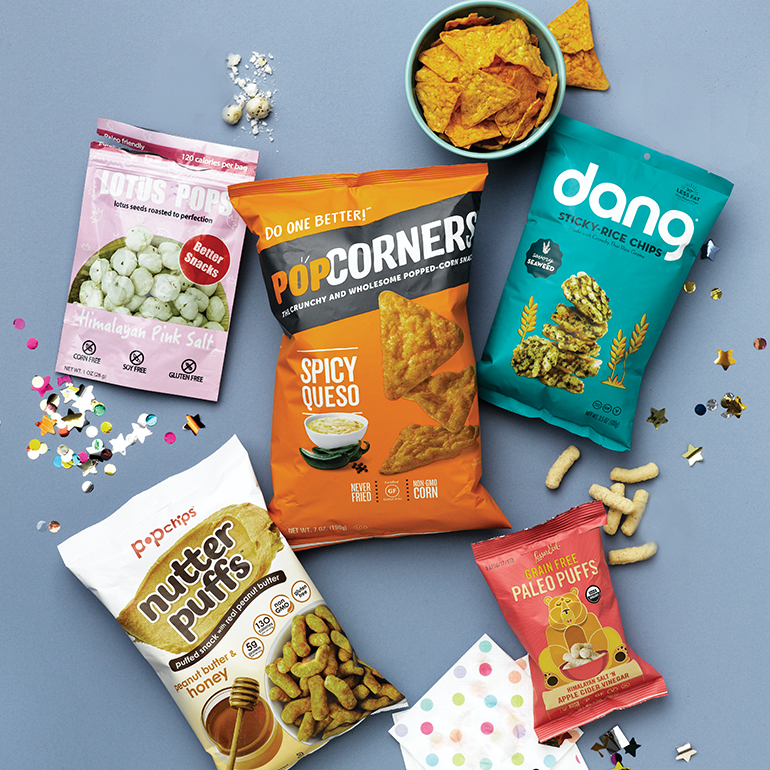 Retailers can capitalize on serial snackers by placing individually packed items (such as smaller bags of chips or low-calorie meat snacks) near the grab-and-go section of the store to nudge customers into buying a savory or sweet treat to save until after lunch. Another sales-boosting tactic: merchandise snacks outside of the chip aisle. Rhythm Superfood’s new Carrot Sticks, for instance, would do well near the produce section; jerky can be placed near the nutrition bars. Oils, seeds, nuts and roots are also cropping up in novel formats in the snacking aisle (such as puffed lotus seeds! ), transforming a stroll for snacks into one of delight, adventure and discovery. Paleo eaters and couch potatoes alike find satiety in animal-based bars and bites. Airy, crunchy snacks almost seem to melt in the mouth. Novel snacking staples break up the day. 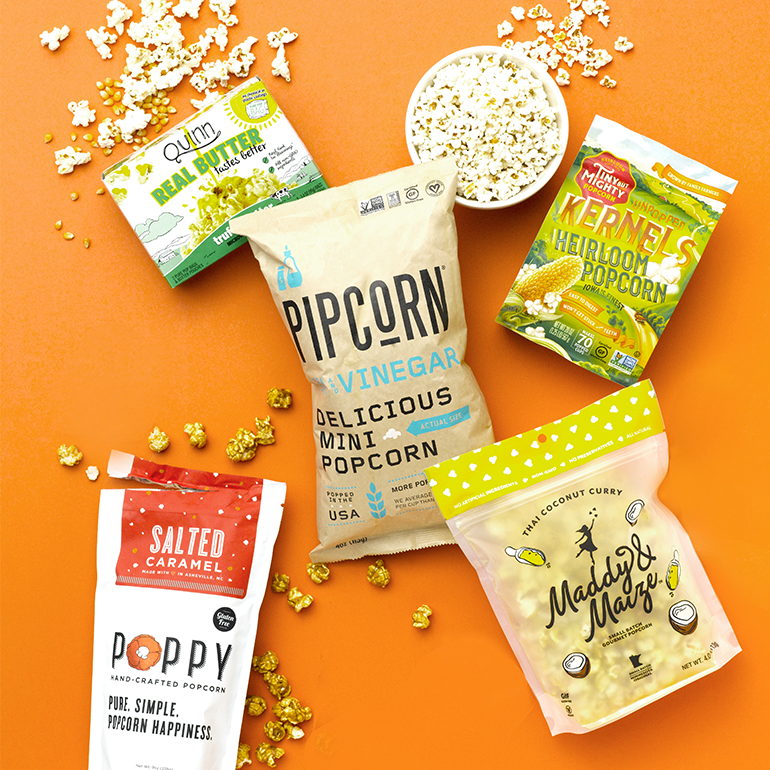 The movie snack staple cleans up with heirloom ingredients and no chemical flavors.